It's Turkish Airlines EuroLeague Playoffs time! Not only is it another great time to follow the competition – let's face it, there is great basketball in this competition all year long – but also a great chance to use unlimited trades to get a new, competitive, full lineup on your EuroLeague Fantasy Challenge team. And this is what I did – discard eliminated players and shuffle things up a little to look better. And yes, it definitely looks better. So I have to get rid at least of all eliminated players: Mike James of AX Armani Exchange Olimpia Milan, Jeremy Evans of Darussafaka Tekfen Istanbul and Nikola Milutinov of Olympiacos Piraeus. 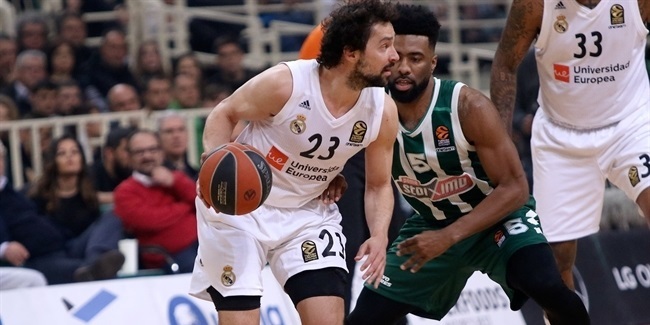 I am also selling DeShaun Thomas of Panathinaikos OPAP Athens, Cory Higgins of CSKA Moscow – I have doubts about this, but am doing it anyway because I don't know three CSKA players – and Facu Campazzo of Real Madrid. I am keeping Brandon Davies of Zalgiris and, of course, Nick Calathes of Panathinaikos, who is a must-have player in Fantasy Challenge right now after his triple-double against Buducnost VOLI Podgorica. I need new players at point guard, shooting guard, small forward, power forward, center and utility. A new team! Let's start by the most demanding spots, center and point guard. First of all, I am buying Jan Vesely of Fenerbahce Beko Istanbul because his team plays at home and needs him at his best level. His value, 1.59 million, is very good at this time of the year, too. As for the point guard, I am buying Vasilije Micic of Anadolu Efes Istanbul, because I think he'll be at his best against FC Barcelona Lassa. Micic has improved a lot this season and is ready to take over. Again, his price, 1.32 million, is very reasonable for what I think it will be a dominant player in his team's series. At shooting guard, I am bringing back Will Clyburn of CSKA Moscow, whose rebounds, dunks and steals make him a solid choice. Let's find a couple of forwards to round out the team. Few doubts at small forward – it's Nikola Kalinic of Fenerbahce, arguably the best option at that spot lately with his rebounds, drives, three-point shots and all-around effectiveness. His team will need him at his best against Zalgiris. I am also buying Adrien Moerman of Efes, going against his former team, Barcelona. 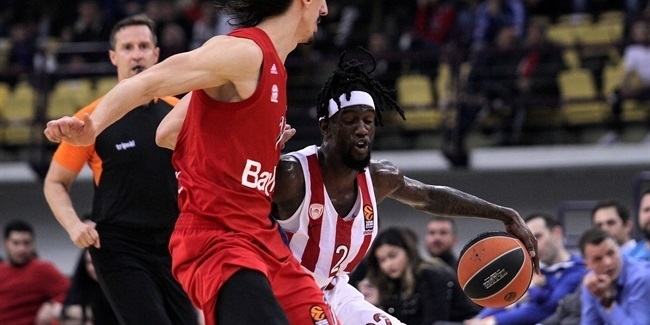 He will be extra motivated and has been one of Efes's best players all season long. That leaves me with enough money to buy anyone I want at the utility spot. That is any player left in the competition. So much freedom makes the decision very tough indeed. Thinking on the series, probably the highest-scoring one will be between CSKA and Baskonia, so I am adding Nando De Colo because well, he is also a reliable player in this game. Vasilije Micic, Anadolu Efes Istanbul (PG) – I love his mentality and aggressiveness, but it is his points, assists and shooting percentages that brought him back to my lineup. 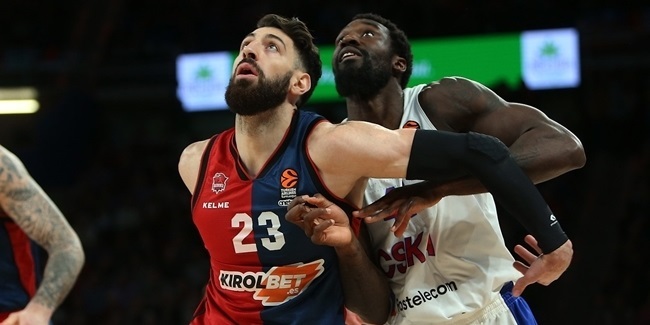 Will Clyburn, CSKA Moscow (SG) – Always a good choice, Clyburn will have the chance to bring out his best against a physical team like Baskonia. Nikola Kalinic, Fenerbahce Beko Istanbul (SF) – Probably in the best moment of his career, Kalinic has been awesome lately, averaging a PIR of 20.4 in the last four games. Adrien Moerman, Anadolu Efes Istanbul (PF) – Second playoffs appearance for Moerman, whose game – strong on the boards, good shooting range – is very Fantasy Challenge-friendly. Jan Vesely, Fenerbahce Beko Istanbul (C) – The Czech Jet always excels in games like this. He has been unstoppable all season and, healthy again, he is ready for big goals. Nick Calathes, Panathinaikos OPAP Athens (G) – The player to have right now, and my team captain for the next two games. When Calathes is at this level, you just watch and enjoy. Brandon Davies, Zalgiris Kaunas (F) – He was April MVP last season, which means he is used to playing really well at this time of the year. Expect him to be solid against Fenerbahce. Nando De Colo, CSKA Moscow (U) – It's playoffs time, when De Colo is ready to give his best. And that usually translates to a high PIR, so it is a great moment to bring him back. Enjoy the playoffs! I truly can't wait for them to start and see who makes it to the Final Four! Of course, good luck to all of you, EuroLeague Fantasy managers – and remember, the game will remain active until a champion is crowned at the Turkish Airlines EuroLeague Final Four!